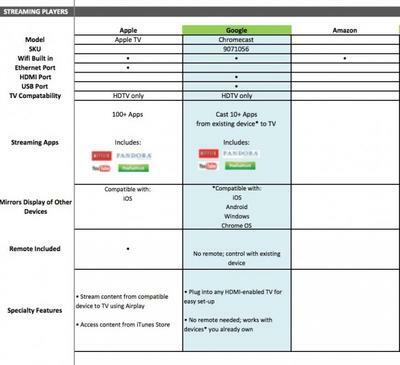 A supposed Best Buy “planogram,” a document meant to internally plan for the retailer’s shelf reset, has outed a possible Apple TV refresh, while seemingly confirming Amazon’s rumored set-top box. Both have been rumored for months, and recent reports suggest the two will be unveiled as early as March. Apple, of course, already offers a streamer, but this would be Amazon’s first attempt to muscle into the crowded set-top box market. 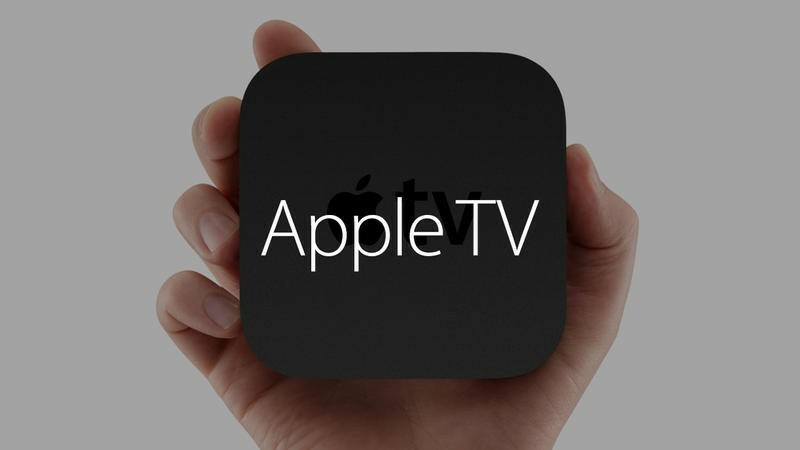 Earlier rumors suggest the new Apple TV will come with revamped internals, TV tuner capabilities, AirPort Express-like functionality and the possibility of App Store access. The Best Buy document actually includes a note revealing the mysterious Apple device will support 100+ apps, so perhaps there’s so truth to that last claim. Amazon’s device, too, will also supposedly act as a gaming hub, so it would certainly make sense for Apple’s hardware to include this ability. SKUs aren’t listed, which could indicate that these aren’t existing products. The Amazon listing merely checks off the Wi-Fi box, so we’re not entirely sure what capabilities the device will have. Chances are it’ll be compatible with an array of devices, and act more in line with a Roku than anything else. Of course, it would have access to the retailer’s growing ecosystem of content, including movies, TV shows and game, and likely allow customers to search through Amazon’s online empire of other products. This isn’t an outright confirmation the products are coming, but it wouldn’t be surprising to see either make an appearance sometime soon.